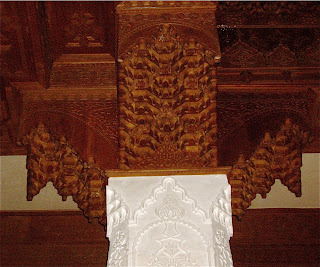 Palais Donab is an exclusive riad in the middle of Marrakech, Morocco. The riad offers excellent dining in exclusive surroundings and we went there twice and enjoyed some of our best meals in Marrakech here. 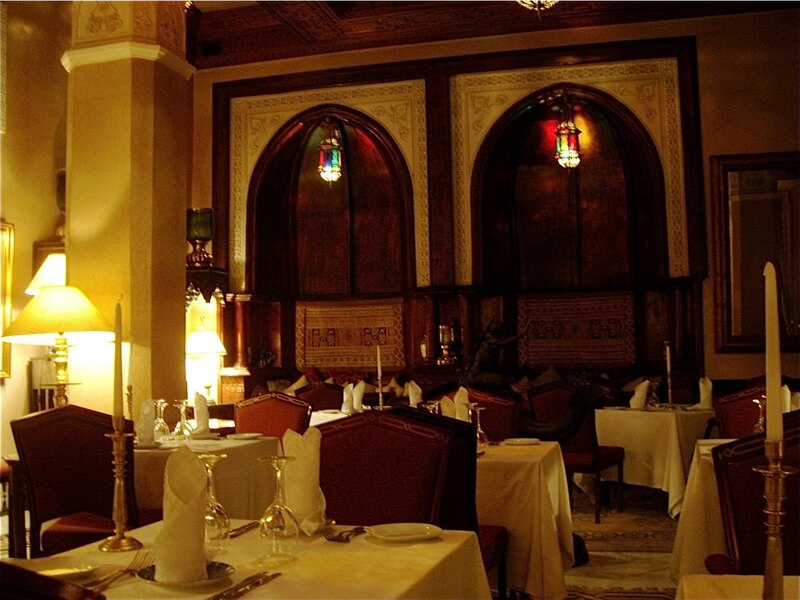 Dar Donab is located in the outer parts of the vast souq, not far from the Koutoubia Mosque and Djemaa el Fnaa. It is one of those many secluded gems hidden behind solid wooden doors and high walls. 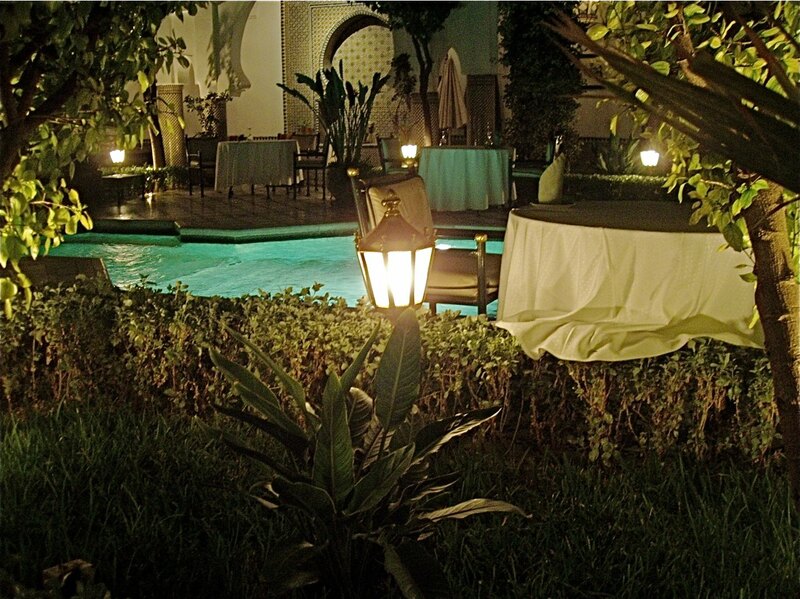 Dar Donab is a wonderful place to dine. You enter through a large gate, and are gently accompanied along a beautiful pool area and seated in a official dining room to die for. Comfortable chairs around beautifully set tables in an ornate interior. My first thought when seated was on the figure found on the final bill, as Dar Donab looked like a place that would seriously affect the bank balance. But do not worry, it is pricey compared to the cheap meals elsewhere but reasonably priced compared to restaurants on the other side of the Mediterranean. The service is exquisite at Dar Donab. There were just a few dinner guests there, oddly enough, and we were seated far apart in the large dining area. We had live entertainment during our meal in the form of belly dancers and a duo playing berber music. The live entertainment was a little irritating as the belly dancer danced uncomfortably close to our table and the berber music was annoyingly monotonous. 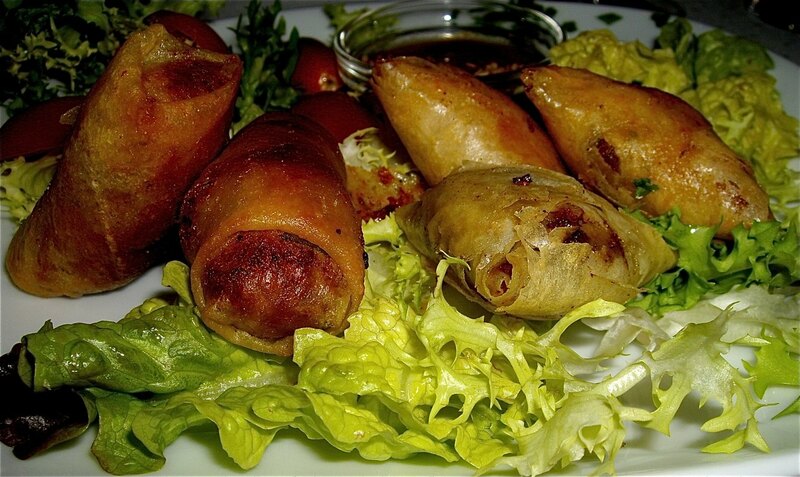 The Dar Donab specialize in more traditional European dishes as well as a few Moroccan specialties. 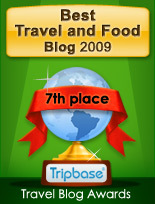 We were there two nights and I chose European cuisine the first time and Moroccan the second. 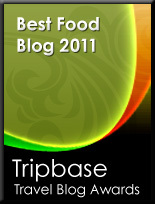 First night I was not very hungry and wanted a few smaller and easily digested dishes. 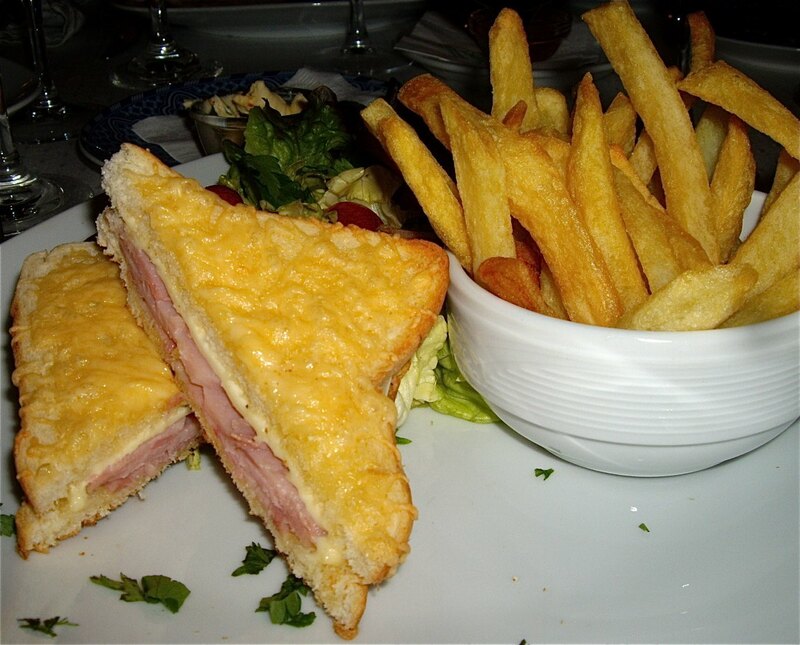 I chose vegetable soup as a starter and Croque Monsieur as main dish. The second time I ordered a selection of Moroccan savoury meat filled pastries. The vegetable soup was beautifully presented in a pure white soup plate. Stripes of cream had been skilfully drawn on the surface of the brightly yellow liquid. It was smooth, well balanced - pure comfort food. 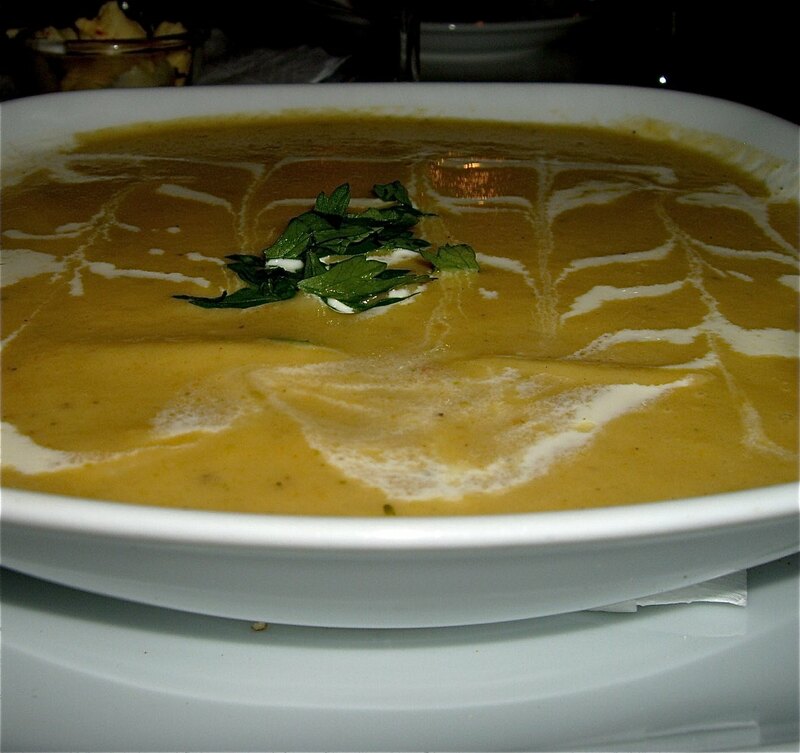 The vegetable soup at Dar Donab is a dish perfect for a cold winter day, served peeping hot. The Croque Monsieur was good, but I have tasted better in France. Delicious "halal" ham, white cheese and mustard, and topped with What lacked was a generous topping of bechamel sauce turning this good sandwich into a fabulous succulent experience. Said that it was a perfectly sized afternoon snack. The fries were good, but I usually eat a sandwich without indulging in neither fries, nor salad. Incidentally, I avoid salads as they are high risk foods when visiting warmer climates where you are subjected to another microbiological flora. The second evening I ordered one dish, Moroccan pastries. Pastries are popular in northern Africa. Different fillings, both sweet and savoury are wrapped in warqa, as the famous pastilla pies and briouats, and mine belonged to the latter. They were delicious, crispy thin pastry, aromatic beef filling seasoned with spices from the nearby souq. 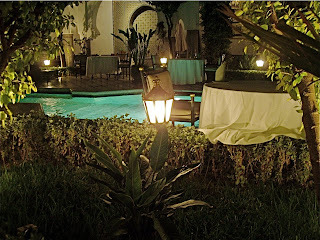 We experienced two exquisite meals at Dar Donab, and they were among the best I've had in Marrakech.